Arts University Bournemouth (AUB) is one of a select group of specialist higher education institutions in the UK devoted solely to the study of the arts. We enjoy a strong reputation, both nationally and internationally, for providing the creative industries with practitioners of the future. Our excellent reputation in the creative industries has developed over our 125-year history, with several of our specialist courses now considered to be the best in the country. Full range of courses from short summer programmes to PhD. Arts University Bournemouth has Highly Trusted Sponsor Status (HTS). This is the highest status that can be awarded by the UK Border Agency. The University is situated on the border of the adjoining towns of Bournemouth and Poole on the beautiful, lively south coast of England. The coastal environment in Dorset, combined with the warmer than average UK climate and vibrant social scene, provides an all year-round holiday atmosphere. Together with its beaches, Bournemouth has a lively, cosmopolitan feel, with the attractions and appeal of a large town without the disadvantages of life in a large city. The adjoining town of Poole, which boasts the world's second largest natural harbour, is one of the prime locations in the UK for a wide variety of water sports such as windsurfing, sailing, water skiing and kite surfing. Bournemouth and Poole are also located near the beautiful national park of the New Forest, and with London two hours away and excellent ferry links to continental Europe, it is ideally situated for easy access to the country's capital, the rest of Europe, picturesque countryside, and a spectacular coastline. For students who are not sure which specialist course is correct for them or require additional studies to enter a degree course we offer a one year Diploma in Art and Design - foundation studies, or a Diploma in Art and Design - foundation studies (Media pathway). We also offer an intensive 6 month prepatory course with a January start date, with an option to include English langage tuition or not - the International Art, Design and Media intensive course. We also offer a range of short or bespoke programmes (including summer courses), and a range of study-abroad programmes of 10 weeks or longer. More details can be found here. The University's taught MA provision is offered as a one-year, full-time course, or on a two-year, part-time basis apart from Film Production which is a 15 month course. The following courses are running in 2017: Animation Production, Commercial Photography, Film Production, Fine Art, Graphic Design, Illustration and a Postgraduate Certificate in Creative Teaching Practices. We offer a two-year Master of Architecture MArch in Architecture. MArch offers students exemption from the Part 2 (ARB/RIBA) professional examination in architecture on their route to becoming a registered architect. MPhil and PhD students will focus their study on a topic aligned with the prospective supervisor, as well as undertaking more general training in research skills and methodology. This research programme is validated by the University of the Arts London. Contemporary educational provision in art, design, media and performance is closely related to new technology. The University constantly updates its teaching facilities and is the place for you to study. Our purpose-built studios and extensive modern workshops, with relevant tools and equipment, allow for experimentation and the learning of industry skills. We offer a specialist environment that reflects the way in which individuals and communities work together in the creative industries. Our purpose built library provides an excellent learning, teaching and study environment; it is one of the largest specialist art, design, media and performance libraries outside London. Its open plan design and high quality resources make it a popular space for students to work and study. The creative industries are among the UK's most successful industries, and employability is a key feature of our courses. 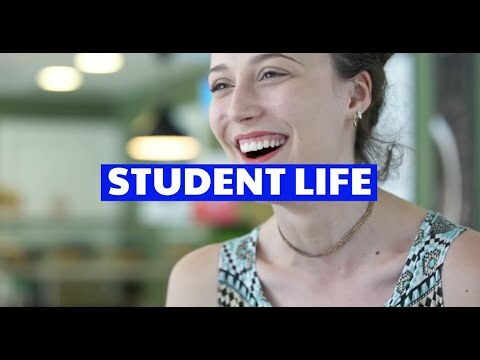 The Bournemouth Skillset Media Academy, a partnership between Arts University Bournemouth and Bournemouth University's Media School, is the largest centre of professional higher education for the film and media industries in the UK, and offers some of the world's finest education and training in the disciplines of practical creative media. Bournemouth's reputation reaches across the planet with alumni winning the very highest accolades in film and media including BAFTAs, Oscars and Emmys. Simon Beaufoy, one of our film graduates, won an Oscar for the screenwriting of Slumdog Millionaire and photography graduate Wolfgang Tillmans won the UK's most prestigious art award - the Turner Prize. I have always loved England, so I knew I wanted to attend a school in the UK. The courses at Arts University Bournemouth offered the independence that allowed me to encompass my wide range of interests. It was also important to me that English was the native language and that there was a similarity in cultures, but my fondness for English history and literature was the deciding factor. My transition went very smoothly. As America and England could be considered extended family, the change was not too drastic. When the course began, we had an introduction to the curriculum, procedures and protocols as well as a tour of the facilities. The international office is always available to help with any issues foreign students may face, and student services can help with general queries. I have had brilliant help from the finance office in regards to my aid from overseas – they have been very patient and prompt. The course has three phases, each 15 weeks long and focused on developing your practice, culminating in an exhibition of your final piece at the end. The entire MA group meets once a week for research seminars or guest lectures, but each student’s work is independent with guidance by an assigned tutor. Though I enjoy the course it has definitely been different from my undergraduate studies in the US, where the focus is on a more structured, lecture-based learning environment. The independence the course offers is its greatest benefit, but also the most challenging aspect. I would recommend the experience to anyone with the personal drive and motivation necessary to succeed. You need to be dedicated to your practice, time management skills and be highly self-motivated. However, make sure you don’t pass up the opportunities provided by living abroad. Make time for travel, enjoy the history and the people – experience the country and apply it to your work. I decided to study in the UK, after I have realized that I’m totally obsessed with films. UK is great filmmaking industry, and like no other country has different specialized Universities and courses in this sphere. I tried to find some short filmmaking course to help me to understand if I am really interested in making films. I found Arts University Bournemouth which has wide range of short courses, including 2 months summer short course of filmmaking. The great benefit of this course was that at the end each student directed own short movie. It was great chance to try yourself. So I decided to apply to AUCB, and I was accepted. I applied to FdA Digital Media Production course, because in my opinion it gives you more freedom in creativity. During the time when my documents have been processing, International Office supported me, with this a bit boring process. They helped me with it, gave all information about University, helped with transfer to the town and accommodation. People who are working there always opened for help. I’m living in student house, with English students. It is giving me great opportunity to practise my English 24/7.It’s great cultural exchange also, which helps me to understand more English culture and style of life. My housemates are welcoming, friendly and really helpful. I also made some Russian-speaking friends, who help me not to feel homesick. Bournemouth is really hospitable (especially for students) and pleasant town. It’s a lot of students here, so you wouldn’t find a problem to make friends. You will never be bored, because it has lots of amusements too. So far this year I have reached the goals that I wanted, I picked up lots of skills and found new friends, which supported me. If I’ll have chance to change my decision I wouldn’t change anything. I’m absolutely happy that I’m studying here. If you are ambitious, creative, easy-going person and if you know what you want to reach in your life, don’t miss your chance to get it! I became aware of studying Film Production in England when I saw the Harry Potter films. I was impressed by the way it was designed. So I first attended the University at Brighton before transferring to Arts University Bournemouth, which was highly recommended by my previous tutors. I think that the AUB tutors take so much care about us and are very professional. They are happy to pass their up to date knowledge onto us, as well as give us an insight of working in the industry. That is what makes me feel prepared for the challenges in my future business life. Their opinion and feedback keeps me thinking and often changes my point of view. I have the feeling that I’m getting to know everything about production and how to get the best result out of a co-operation with my fellow students. I really enjoy living in this peaceful and quiet environment where there are so many lovely places, like the Bournemouth Garden, its town centre and the surrounded area – and of course all the shopping facilities. As I grew up in the busy and loud City of Shanghai, I can enjoy all these Bournemouth amenities so much more. The local people are very polite and helpful to students from abroad, although I had difficulties involving in the community due to the Cultural shock. I wasn’t able to understand the people clearly when I came to England, but I’m happy to say now that this is no problem for me anymore. During my winter holidays I travelled around Europe for 20 days. I spent some time at Paris, Evian, Lyon, Munich, Berlin, Hamburg, Milan and had a stopover at Venice. After my graduation this year I would love to work in England but that depends if I will be granted a 2 year -Working Visa. Otherwise, I am going to have plenty of time to look for a job in China during my long summer holidays. There are many different types of funding available for all levels of study at Arts University Bournemouth. If you're thinking of coming to study at AUB there are two main types of accommodation to consider - halls of residence, and private rented accommodation. Both have their pros and cons and you'll need to consider all the options before committing yourself. Student Services deals with all accommodation matters, and our Student Advisers are here all year round to answer any queries you may have. Semester Study Abroad courses are for students and professionals who wish to spend time abroad, developing their creative skills. Courses are suited to students who want to spend time learning in the UK, but do not necessarily want to spend 2-3 years in another country.You have the opportunity to study 1 term, 2 terms or 3 terms on the following full-time courses. We also offer Specialist Summer courses (1-4 weeks) and Special Tailor-made courses for groups.